"Sergeant Hernandez! From your photo, it's clear that time's been kind to you. It's great to get your note and find out your adventures after Amberg. There's some great stuff on this site. A bunch of us had a long thread a…"
"The surrender of the Soviet empire must have come from this photo leaking out back when. " "Dear Pete, My condolences to Ilene. Never met her but remember you speaking of her. Moved to the Carolinas because Barbara's family was here. Am now a retired gentleman and do some writing and editing for the Company of Military Historians.…"
"Z-man, I wanted to add something. When I scoped out your profile, I saw that you're teaching high school. I have a 16-year-old daughter in high school now, and will tell you that you couldn't have picked a nobler profession. This country…"
"Great hearing from you Cpt. Johnson, and thanks for the compliment. I only got that way because I had some great examples of leadership from you and SFC Hastings. I was ready to take charge as Squadron Border NCOIC after you all left. I have a…"
"Z-man! I just got the email that you'd joined! This is a pretty cool medium, not perfect, but I'm amazed at the people who show up -- I wanted to give you huge props for being the pro that you were back in the day. I think about those…"
"You can call me Tony of course now that we are civies.However, Ras Cardillo has a certain aura to it, doesn't it? Well, now that I think of it , Ras Cardillo will do just fine. Glad to year from you and give my regards to Mike .I thought of him…"
"Hey Tony (or should I again call you "Ras Cardillo? ), I got an email notification that you'd joined. Glad you're still kicking. I'm in Atlanta and see Mike Hanley every so often. I'll spread the word that you've been…"
"Hi John, I get email notices when something gets posted to the 3/2 Amberg group, so this naturally caught my eye. And hey, it's Good Friday all over again! You no doubt saw the historical novels we wrote on this subject elsewhere in this group.…"
"Oh hell, maybe I need more beer. 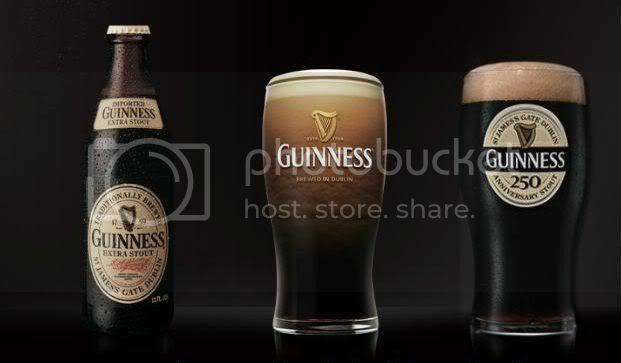 I didn't see the Guinness greeting, I commented on the wrong year. Well, it's good being here another year to comment! - Pete"
"Many thanks for the birthday greetings, Brother. 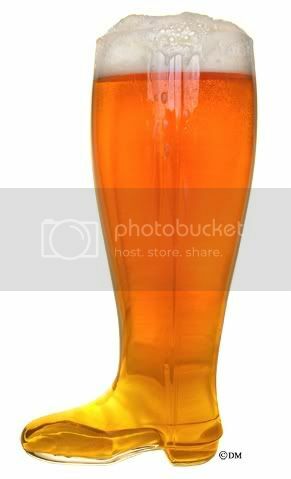 I'm thirsty looking at that glass boot, but my intake operates a little slower these days. - Pete"
"HAPPY BIRTHDAY PETE Wishing you many more, from all of us at DragoonBase!!!" "Wish I had some photos to add of you in the driver's hatch of our old 577. It's good to hear from you! - Pete Johnson"
"Pete, I must say that my time in the Cav was one of the highlights and most memorable of my career. It was nice to hear from you after all of these…"
"George, I can't believe you're reappeared -- and you'd spent 29 years on active duty? Wow. Congrats from your old S2 from those days. - Pete Johnson"
I served with the best group of guys I ever met in uniform -- the S2 section and Border Operations crew. I work in corporate marketing communications (agitation and propaganda, basically). Married, daughter in middle school. For sanity, I play bass in a southern rock / blues band. About once a week, I have lunch with Mike Hanley, formerly LT in L Troop. He works up the road from me at UPS in international finance. I'm also still connected with Steve Ponder, formerly of C Troop and Bindlach and the former Regimental Border Officer. Tim Hastings for one -- I'm still playing the balalaika he gave me as a going away present from the Regiment. My condolences to Ilene. Never met her but remember you speaking of her. Moved to the Carolinas because Barbara's family was here. Am now a retired gentleman and do some writing and editing for the Company of Military Historians. Worked in manufacturing. Things wre very good here for a while. If you did not like your job, you could walk down the street and get a new one.There's more Yankees here (13 miles south of Charlotte, NC) than there is in NY or NJ. Went back to my Guard unit but they didn't want to soldier. Made out much better in the Army Reserve. Went to the retired reserve in 93 and retired officially in 09. My last assignment was with 2-10 Cav (Ft. Knox) in Camp Wainwright in Alberta Canada. Ended up adopting my two grandsons in 02. Became the father of an eight year old and a five year old at 52! Kristopher is 18 and Cody will be 16 in May..Alas, Barbara passed away in 05. Don't miss Beantown since I got through my first summer here. My brother is still up there, up to his hps in snow and ice. Atlanta is about 5 hours from here. Let us get together. My e-mail is jbronan@bellsouth.net. Its late. No. 2 spalpeen has to get up for school tomorrow. You can call me Tony of course now that we are civies.However, Ras Cardillo has a certain aura to it, doesn't it? Well, now that I think of it , Ras Cardillo will do just fine. Glad to year from you and give my regards to Mike .I thought of him occasionally . I must say that my time in the Cav was one of the highlights and most memorable of my career. It was nice to hear from you after all of these years. Pete,Happy Birthday from a former Pond Barracks trooper!!!!!!!!!!!! Pete,the last time my wife and I were back was 2001 and 2002,while on vacation we stopped at the old Pond barracks both time.In 2001 I drove right by the place,it was so different.But you can walk around the apartment complex.